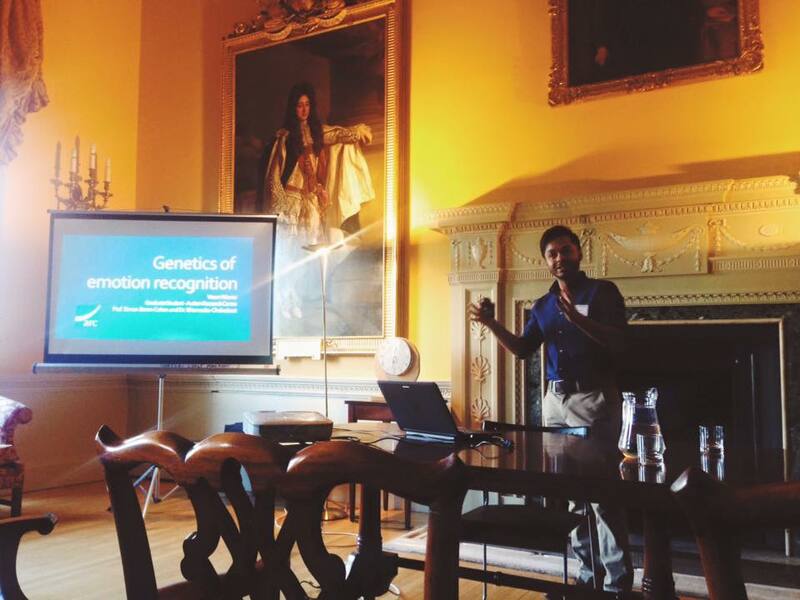 After the success of last year’s inaugural event, Trinity College hosted the 2nd Cambridge Psychiatry Graduate Symposium. The event is aimed at bringing together postgraduate students to present and discuss current research being conducted within the department. The event was again opened by the Head of Department, Professor Ed Bullmore, and was attended by MPhil and PhD students, postdoctoral researchers and principle investigators from across the department. Second and third year PhD students gave 15 minute presentations to summarise their research, with presentations covering a wide range of different conditions, methodologies and techniques. The students showcased an impressive collective body of research and engaged in lively discussion throughout the symposium. The event also involved presenting work from group projects that had been carried out over the past few weeks. These group projects brought together students from across the department to tackle key questions in the field of psychiatric research. This year’s projects focused on the question: “What are the biggest challenges facing research on mental health?” Students discussed some of the specific hurdles that the field might have to deal with in the near future, as well as elaborating on how some of the challenges might be overcome. The event ended with this year’s keynote lecture, given by Sir Simon Wessely (pictured right), King’s College London Regius Professor and president of the Royal College of Psychiatrists. 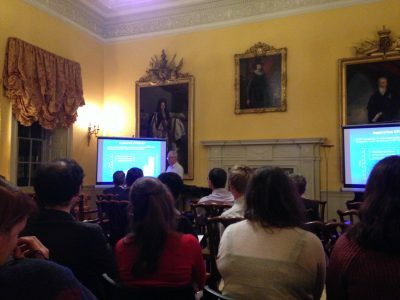 Sir Wessely’s engaging and intriguing lecture focused on the seminal research he has carried out looking at the psychological health of military personnel. He emphasised how our ideas of post-conflict mental health outcomes in military personnel are often influenced by common misconceptions in the media and presented a series of epidemiology studies that painted a clearer picture of the true nature of psychological health within the military. The day ended with a drinks reception and conference dinner served in the Old Kitchens of Trinity College. The event was a great success and was thoroughly enjoyed by all that attended. A huge thank you to the organising committee: Professor Simon Baron-Cohen, Professor John Suckling, Dr. Jeff Dalley, Dr. Valerie Voon, Karen Ersche, Sarah Rowe, Adisa Broadhurst, Camice Revier, Richard Bethlehem and Varun Warrier.